Philadelphia’s The Vernes discuss happy-sounding sad songs and their new single “1994,” a slow rock song rooted in nostalgia and the act of growing up. The most profound artistic works we have — be it music, literature, paintings, etc. — comes from an artist’s ability to communicate personal, yet universal feelings that often seem too abstract for words. From happiness to helplessness, society has often looked to its creatives to assign meaning to its deepest emotions and paint vivid stories and pictures. With the ability to be both highly aware and deeply personal as our gold standard for what makes an artist stands out, The Vernes are most assuredly on the right path. Atwood Magazine is proud to be premiering “1994,” the second single off The Vernes’ forthcoming sophomore album (and first studio record! ), Maybe I’ll Feel Better When I’m Dead, independently out September 28, 2018. With inspiration being drawn from artists such as Bob Dylan and The Pixies, it’s clear that the members of Philadelphia’s The Vernes are trying to tell stories and use their music to make sense of the world around them. Their previous single, “Maybe I’ll Feel Better When I’m Dead,” is an upbeat and swinging indie rock song when considered musically. Lyrically, it’s a dark song dealing with feelings of despair. Though the feeling may be fleeting, it’s still worth discussing. Out everywhere this Friday, “1994” is a slower, almost Manchester Orchestra-esque rock song rooted in nostalgia and the act of growing up. Though intensely personal, the song’s lyrics are highly relatable. 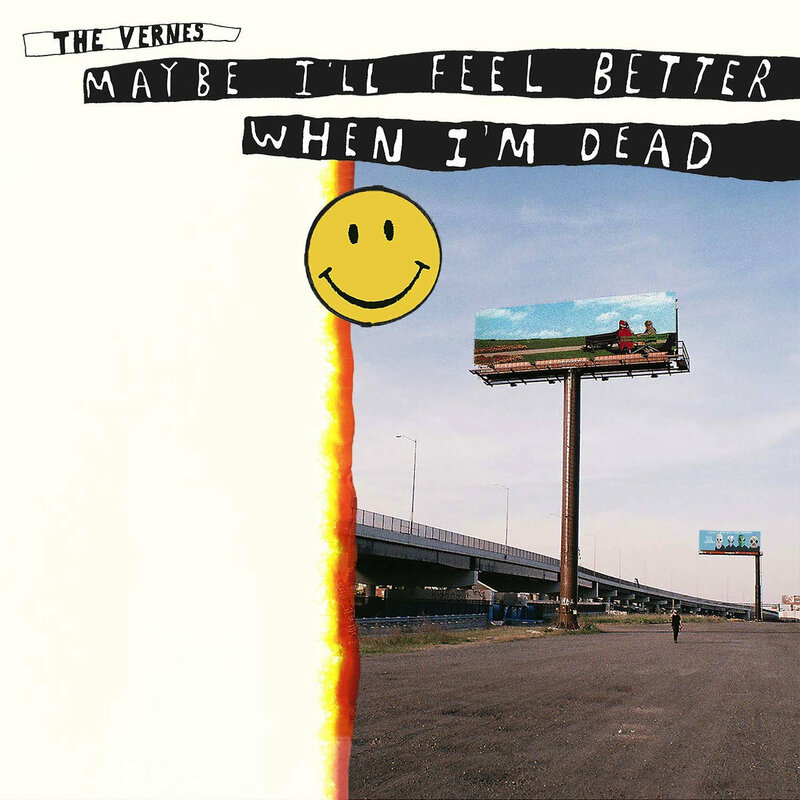 While somewhat dark — both lyrically and musically — The Vernes are again communicating feelings of despair, without drowning in it. “1994” is for anyone who has been caught in the painful throes between childhood and adulthood; “1994” is for everyone. 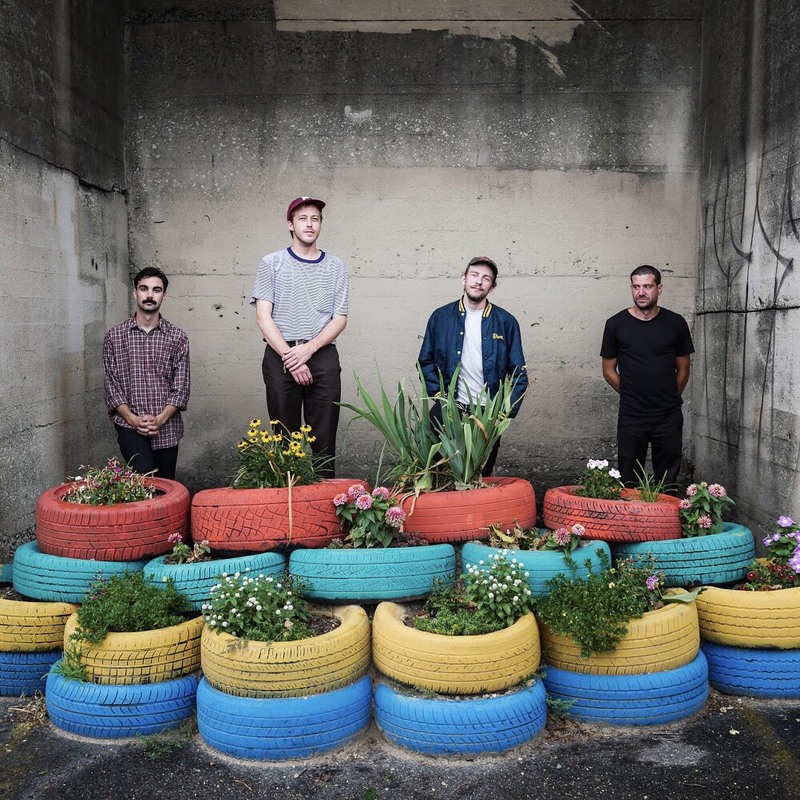 Atwood Magazine recently spoke to The Vernes’ lead singer Matthew Gragg to discuss their forthcoming album, the story behind “1994,” and their songwriting process. Maybe I’ll Feel Better When I’m Dead is out everywhere September 28! There’s something inherently funny about singing something sad over something that sounds really happy. Atwood Magazine: Hi, Matt! How are you? Matthew Gragg: Hey! Doing well, how are you doing? Good, thanks for speaking with me today. Matthew Gragg: Yeah of course, thank you. Could we start off with some basics? Could you tell me a little bit of background on the band? Matthew Gragg: Yeah! We’re a Philly band, but three-fourths of us are originally from the Bay Area in California and we all met out there in the same music scene but had never played in the same band before. We all ended up out on the east coast separately, but sort of found each other. Matthew Gragg: Yeah! So, we lived in New York City for a while and re-located to Philly two years and a couple months ago. Matthew Gragg: Yeah-oh, and our drummer is just a South Philly guy, well he’s not from South Philly – he’s just from Philly. That’s awesome! 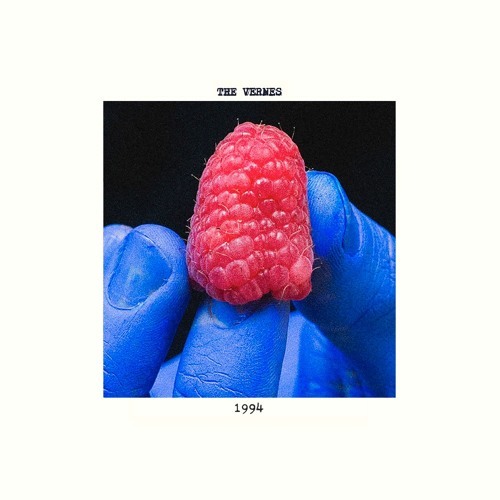 So, The Vernes have an album coming out in September? Matthew Gragg: We do, September 28th! Matthew Gragg: Yeah, it’s our first studio record and it was produced by our buddy Joe out in Jersey. It’s one of my proudest works — it really sounds great and it’s the first record we wrote together as a band and the first record we recorded together as a band as well, so we’re all just really looking forward to it and looking forward to making more. But, it feels, like we started making this ten months ago, so it’s starting to feel old already, so we’re excited to get it to the world and let it become what it becomes, you know? It’s called Maybe I’ll Feel Better When I’m Dead. So how will your new single “1994” fit into this record? Matthew Gragg: Well “1994” was the first song I wrote for this record and it ended up being the heaviest song on the record, and the most focused song I think. Typically, I won’t write about one thing throughout the length of a song, but this one was really specific. It’s very nostalgic, you know, and it’s sort of about growing up and about the person you were vs. the person you are now… making mistakes and learning from the mistakes you’ve made and re-evaluating and liking who you are at the end of the day. I think there are aspects of loneliness and of hopelessness, but that’s the theme throughout the entire record, I’d say: Just growing up and feeling like you don’t know where your place is. It’s pretty near and dear to my heart. So, my next question was going to be that I felt that this single was very personal and heavy, and wanted to know if there was any story behind it? Matthew Gragg: It’s sort of about me, but more than anything it’s about my brother. He was born in 1994, and [it’s about] his life and the consistent struggles he faced and taking an honest look in the mirror and changing these things about himself he doesn’t like and making positive changes… I’m just really proud of him for that. I’m assuming you and your brother are pretty close? Matthew Gragg: Now more so than we used to be, yeah. But, the specific line is “took a walk down by the water and I saw things I’ve never seen…” basically, I saw things I’d never seen in [him]. We went out to Big Sur a couple years ago and spent some time together after not being really close for a couple years and just seeing a lot of positive changes in him and a lot of growth and I was really proud of him. So, I started writing the song. Matthew Gragg: Yeah, we’ve all made mistakes. I know you have one single released, which is the title track, so, what made you to release that track and “1994” as your singles? Matthew Gragg: Well the title track felt a little bit more upbeat, and we work with this incredible director who is a really great friend of mine, and we made a music video for it, so it felt only right to release the video first and have it be the big bang, you know? But it had the most pop and feel, or, pop sensibility maybe, and it all felt like it needed to be first, you know? So with that, I feel like “1994” is heavier than the title track. Did you have those both come out first to play off each other? Matthew Gragg: It’s funny because the content in the first single is so much darker in the first one, but the music is so much happier, but they’re the first two songs on the record and they flow nicely into each other, so we felt like it would be cool to give it chronologically, and we felt they were our favorite songs on the record. What I do like about the first single is that the lyrical content is darker with an upbeat sound. What made you guys decided to do that? Did that just happen naturally? Matthew Gragg: Well, that’s always been my M.O. since I started writing songs. You know, having happy sounding songs with darker content…but also, maybe that’s kind of how life is. Life isn’t always all happy or all sad, it goes back and forth, and it can look happy but sound sad or, I don’t know…but I just try to write from my experience and I don’t want to beat the sadness over the head. I want to recognize that it’s not all sadness. Also, there’s something inherently funny about singing something sad over something that sounds really happy. Shifting gears, you mentioned that you all live together, so I’m assuming you’re all pretty close. Does that make the songwriting process easier? More difficult? Matthew Gragg: I think it helps to a point, but it also makes it easier to just sit on the couch and just play video games. It can be easy to just push it back, you know, a five-minute break can turn into five days. But, we love living with each other and we’re hanging out all the time. It helps a lot to make music with people you’re comfortable around, they’re your best friends, you know? Definitely! Could you tell me about the songwriting process with this record then, since it’s your first studio album together as a band? Matthew Gragg: Yeah! So, I’m the one who writes all the songs and the lyrics, and then we work them out as a band. They always change from what I had in my head from when I was just sitting in my bedroom, but they always come out sounding better. But, I just present songs to the group and we’ll riff on them for a while until they feel right. And like I said, this was the first album we made together. The first album we have, I made by myself — I just played all the instruments. Oh, okay! I was going to ask about that. I saw your other album on your Spotify page. Matthew Gragg: Yeah, that was just me in the basement just trying to get ideas out before we started recording together. We had been playing together, but the album was already finished at that point. 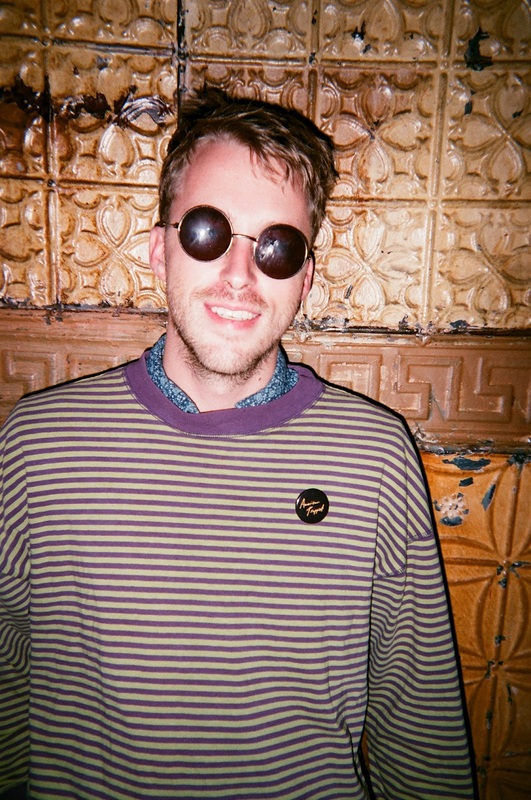 Matthew Gragg: Yeah, you know, I always feel like I’m a musician first and a lyricist second. I’ll typically write the music first and the melody first and then sing nonsensical words in my head and words that sound cool together until I start to stumble on ideas. I feel like a lot of people don’t really do music first and lyrics second, so I think that’s interesting that it’s something you do and something that works for you. Matthew Gragg: Yeah, since I began. You know, the reason I wanted to write songs was because of Bob Dylan or The Pixies or Pavement…all these people I consider to be great lyricists. I never really sit down with a notebook and just write lyrics. I always just write them to music. To each his own. Whatever works, and from what I’ve heard it’s definitely working for you. Matthew Gragg: Thank you, very much. I want to know what it’s like for you guys to balance work and the band? Matthew Gragg: It’s been good. I think everyone in this band wants to make music for a living, but we’ve realized that we can’t pay our bills off being musicians right now. Work has always been second, you know, any of us would quit our jobs tomorrow if we got offered a great deal. But, we make it work. It’s a little hectic but we’re good. That’s good to hear. So, with everything going on, could you tell me a bit more about what’s next for you guys? Matthew Gragg: We just want to try and hit the road as much as possible, and we already have an EP done, so that’ll hopefully come out early next year. We’re just going to keep rolling, keep doing it and keep having fun, because that’s what it’s all about, really. Very cool! Is there anything else you’d like to highlight or say? Matthew Gragg: If you could fit it in there, I’d like to give a quick shout out to my mom and dad, who, without your support and love, none of this would be possible. I owe you the world. Matthew Gragg: I don’t know if that’s cheesy, but there’s nothing cheesy about loving your parents, I suppose. I agree! Well, thank you so much, Matt!